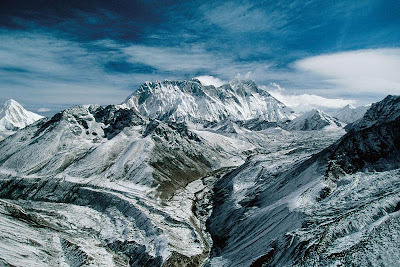 Mount Everest gained its name in 1856, when the Royal Geographic Society decided to name is after British surveyor-general of India, Sir George Everest. 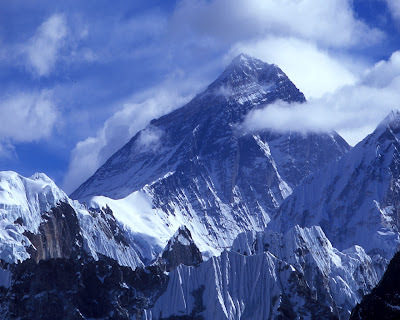 It wasn’t until 1953 that the first successful hike right to Mount Everest’s summit was achieved, and it was done by the late New Zealander Sir Edmund Hillary who died in 2008. 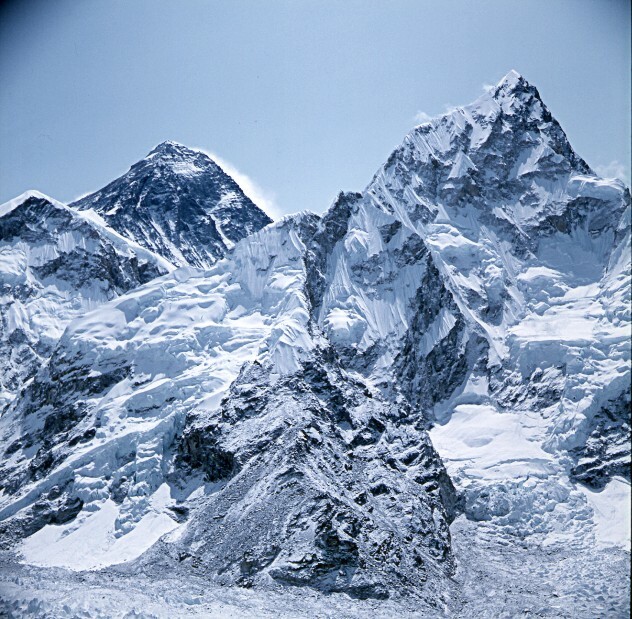 Sir Edmund Hillary was the person to have recorded Mount Everest’s height for the very first time, although that figure differs greatly from the height that Everest stands at today. 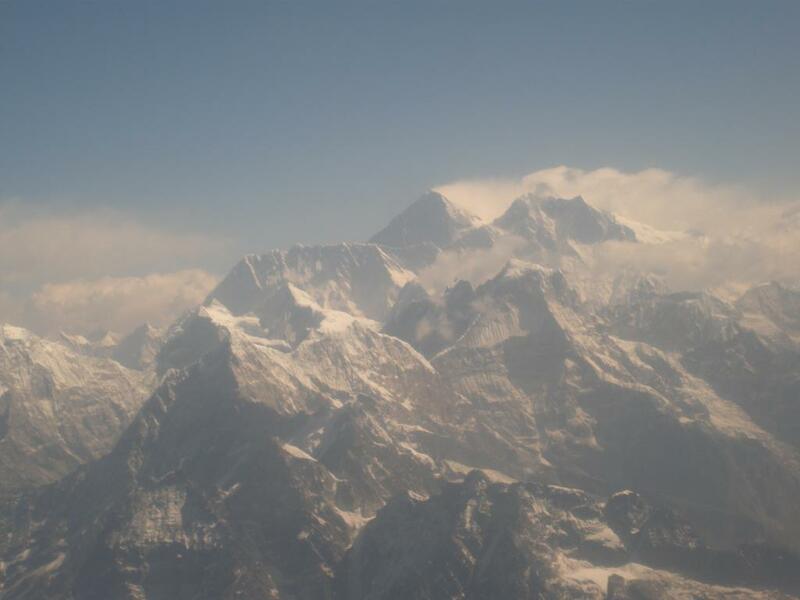 This is because Everest still lies on the tectonic plates that were once responsible for its formation and as they are still active, Mount Everest gets pushed up by 4mm and towards the Northeast by 3 to 6mm every year. 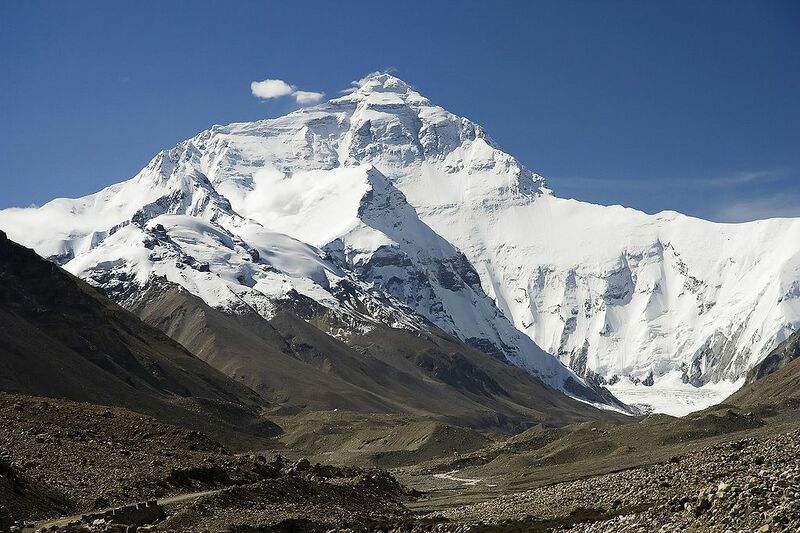 That’s an average height increase of 22.4cm since Sir Edmund Hillary first recorded it in 1953. The higher levels of Mount Everest are certainly not a tourist attraction, considering the mountain has so far cost 210 explorers their lives. 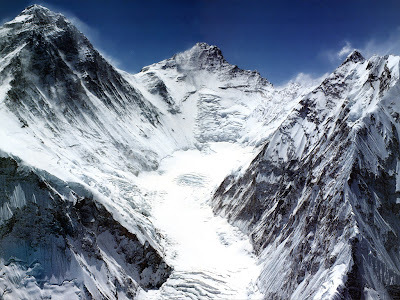 There are, however, certain climbing and walking routes along the mid to lower levels of Mount Everest where tourists can try their hand at hiking a great deal of the way up. It’s advised that anyone who is going to attempt this has training and buys professional equipment for the job and the conditions are cold and the oxygen thin. Mount Everest was formed approximately between 30 and 50 million years ago by plate tectonics (the movement of the tectonic plates which hold the earth together miles below its crust). When two tectonic plates move together, but come too close into contact and experience too much friction, there can either be an earthquake (to disperse the immense energy), or the displacement of earth materials around it. 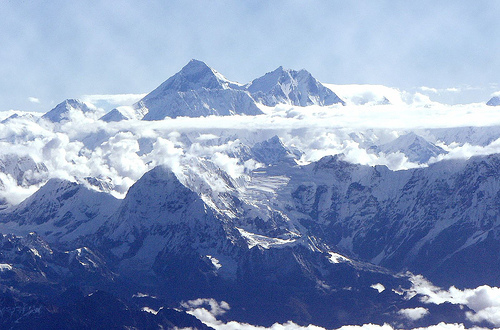 In the case of Mount Everest, the earth was pushed upwards from under the Tethys sea when the Indian subcontinental plate and the Eurasian plate collided, forming a mountain shape which simply never smoothed out again. 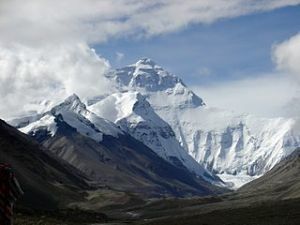 Since Mount Everest has been shown to increase in height by 4mm per year, we can assume that one significant plate tectonics event formed the mountain, but over those millions of years it has grown significantly taller than it was originally. 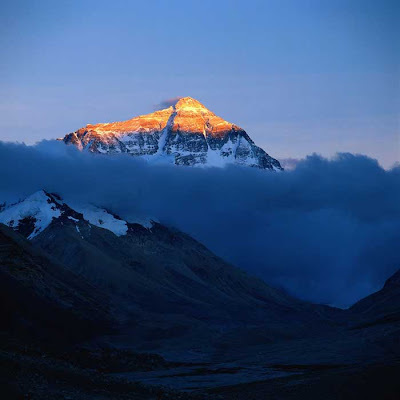 During the various glacial ages that the world has seen over the past 50 million years (the latest being 20,000 years ago), Mount Everest’s pyramidal shape was sculpted by the erosion of glaciers that moved slowly across it. 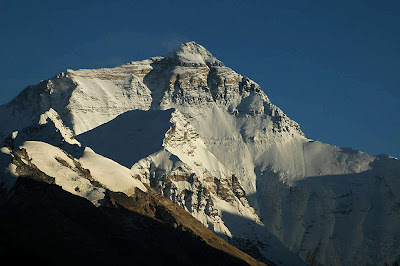 In fact, there are glaciers still present in the Himalayas today which continue to alter the shape of this ever moving, ever changing, awe inspiring natural structure.